We believe that the sense of smell can strongly tie individuals through memory and emotions. Gifting someone a perfume can therefore be an intimate gift, which is also practical. No matter what scents the recipient has been using, you can always find a perfume that will match their likes and preferences, based on their personality. Perfumes are an accessory that can be extremely personal to the wearer, based on their favorite scents and their individual tastes. 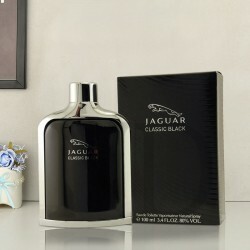 Also, even when you are looking to gift something personal as well as luxurious, you can never go wrong with perfumes. In addition, you can find many popular fragrant gifts that come in sets, which may include body lotion, portable scents and shower gel, all rolled into one. Then there are other sets which include commemorative boxes or bags as well.Such all-inclusive perfume gift sets for her or him can be a great way to pamper the one you are gifting. Use online fragrance resources to find out the most pleasing notes, which may be sandalwood, amber and pink pepper. Now use this information when you are researching for a scent. Moreover, as with anything you buy, it's always worth looking through what people are saying about it. The name of a product is often helpful in identifying its character. For instance, words like intense, extreme, night, passion, dark and water, all convey some sense of intensity and sets a scent's mood. Fragrances like Boss Bottled Night represent richness and warmth and are designed to be worn in the evening, whereas something like Davidoff Cool Water is often light and fresh to better suit for a daytime wear. You won't always be able to judge a fragrance from its name, but when buying perfumes online, it's worth considering the name and packaging instead of driving all the way to a market. What does the Colour of a Perfume Bottle Say? The nature of a fragrance inside a bottle is not always reflected by the packaging, but there are occasions when packaging does allude to what's within. Cool Blue - In advertising, blues are often a choice for all things pale and icy and have been traditionally associated with freshness. In terms of fragrances, blues are often used in packaging of fragrances that have a marine or aquatic smell. Expect them to have a watery freshness. Yellow - Associated with summer, cheerfulness and spontaneity, the colour yellow usually signify the packaging of a zingy and citrusy fragrance for a summery day. Red - Representing passion and energy, the colour red associates with everything lively and spicy. Fragrances in red packaging should likely feature spicy notes like ginger or pepper. Green - No surprises here; green bottles generally smell like freshly cut grass and tend to be woodier and have smoky notes. These may evoke foliage and are great evening wear fragrances. Black and Gold - Black generally signifies intensity and depth. Gold fragrance packaging is often used to represent opulence, richness and very exotic concoctions. 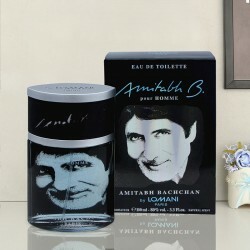 Such fragrances are heady and perfect as evening wear. Whenever the wearer wears your gifted perfume to smell good, he'll feel good, and nothing can beat that.Looking for fragrances and gift sets for men and women online? MyFlowerTree is the place for you! Here you can find an extensive range of the best perfumes to pamper yourself and your loved ones with their favorite fragrances. 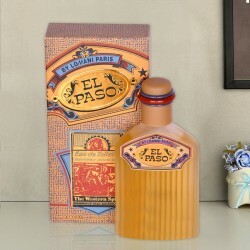 Sending perfume abroad or to a friend in another city also gets easy here, and is just a few clicks away. So, what are you waiting for? Shop for the choicest of fragrances and perfumes online from the best brands, and get them delivered on time with our free fixed time delivery service. If You've ever had qualms to buy perfume online as a gift, then this should put it to rest.